VHF antennas, construction and use - Article by VU2GT about VHF antennas, how to evaluate performances and models. VP2M DXpedition to Montserrat - Seven operators from six US States will travel to the small island of Montserrat in late January of 2007 to activate that island in a most unique way. 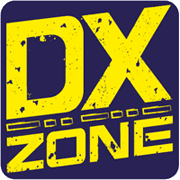 Instead of big antennas, and tons of equipment, this DXpedition will instead focus on lightweight gear and portable operations.